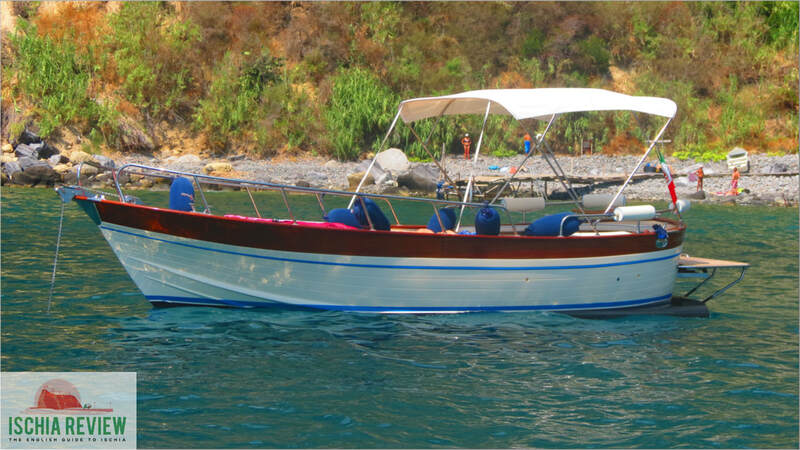 Ischia Review offers private boat tours tours of the island for couples, individuals or any size group from 1 to 10 people. These are private tours so you don't share with people you don't know and the skippers speak English. 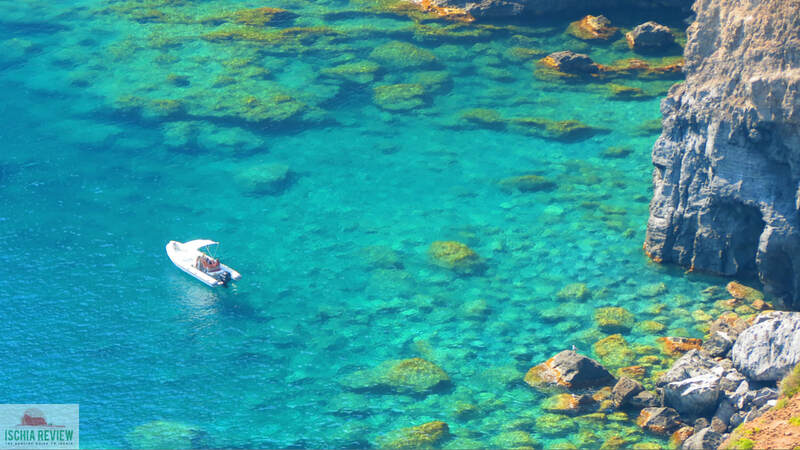 Seeing Ischia from the water is perhaps the best and most relaxing way to discover the island. With our island tours we provide you with an English-speaking skipper for the day and he'll be there to look after you throughout the whole day. The tours start at 10am and finish around 5:30pm, although there is flexibility and we can start and finish earlier or later if required. We can start the tour from the closest marina to you so any of Forio, Ischia Porto, Lacco Ameno, Casamicciola or Sant'Angelo. There are also some hotels on the island with their own jetty where we can collect you from and drop you off at the end of the tour. Once the skipper collects you he'll take you on a full circuit of the island, stopping at various places to swim and snorkel if you want to. You'll see all of the main sights including Castello Aragonese and Maronti Beach as well as each of the island's towns listed above. There are also lots of pretty bays around the island that are best accessed from the water such as La Scannella and La Scarrupata, two of the best places for snorkelling with some interesting marine-life to be spotted. The skipper's job is to make sure you have a memorable day and he's there to look after any needs you might have. He usually follows a set route, making the most of the time available so that you see the best places but he'll also listen to any particular wishes you may have if you want to go to a specific place or if you want to stop and have a walk around somewhere like the village of Sant'Angelo for example. 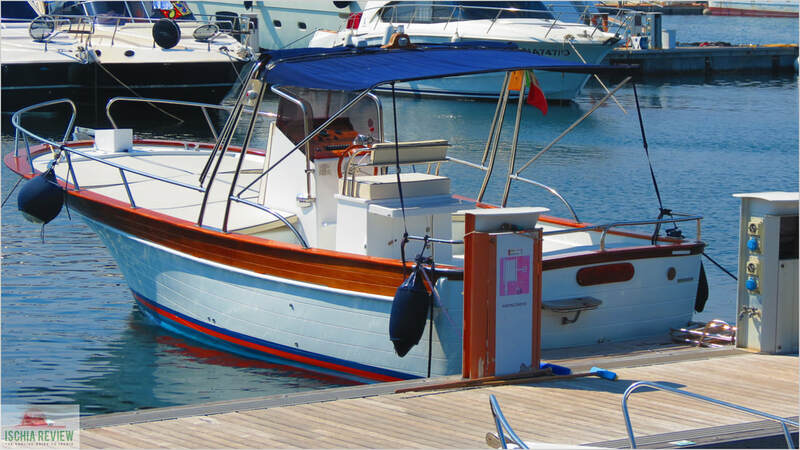 ​All of the boats come with a canopy so you'll have plenty of shade throughout the day but you can also sunbathe as and when you want to. ​We offer a package that includes drinks on-board throughout the day (mostly soft-drinks but with a few beers included), towels and snorkelling masks. We also include the skipper and the fuel in the price package. There are several restaurants around the island that can only be reached from the water and our skipper will take you through these various options on the day if you'd like to stop at one of them. Alternatively you can bring your own food on-board or choose to stop and eat in one of the towns along the way. There are four types of boat we use for the tours. For 1-3 people the most popular choice is the Romar Mirage 570 then for the larger groups or people that want the extra space there are the Gozzo Sorrentino and the Gozzo 850. Both of the Gozzo boats come with an on-board WC with the 850 being the slightly larger of the two. 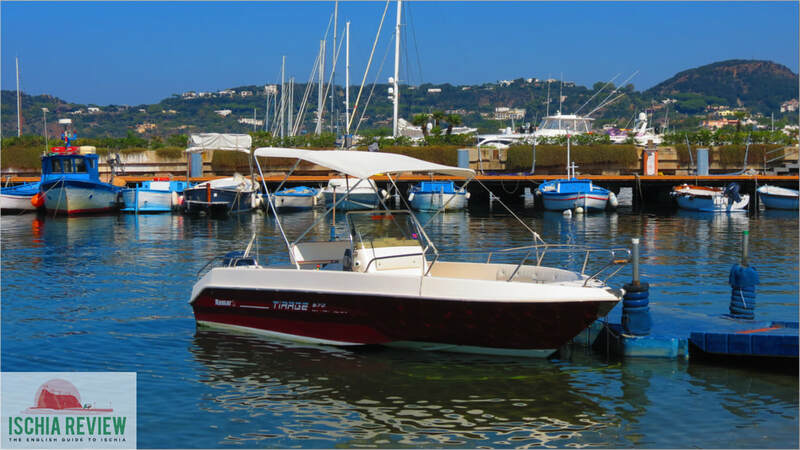 Predator 750 Touring - Ischia tours for up to 12 people or excursions to Capri or Sorrento for up to 6 people. On application. Please contact us for prices by e-mail at info@ischiareview.com stating the number of passengers, date and preferred port to start and finish the tour (Ischia Porto, Forio, Casamicciola, Lacco Ameno or Sant'Angelo). For any questions or further information about the boat tours please drop us a line at info@ischiareview.com and we'll be happy to help. Would like to let you know that we had an AMAZING time today with Gianluigi!! We have been traveling for two weeks and this was a highlight. Thank you to you also for being so responsive with e-mail. It made everything go so smoothly!